The end of the school year is fast approaching. Little Lady is finishing her second year of Preschool with the same 2 amazing teachers. She will be leaving this little school and moving on to Kindergarten in the fall. 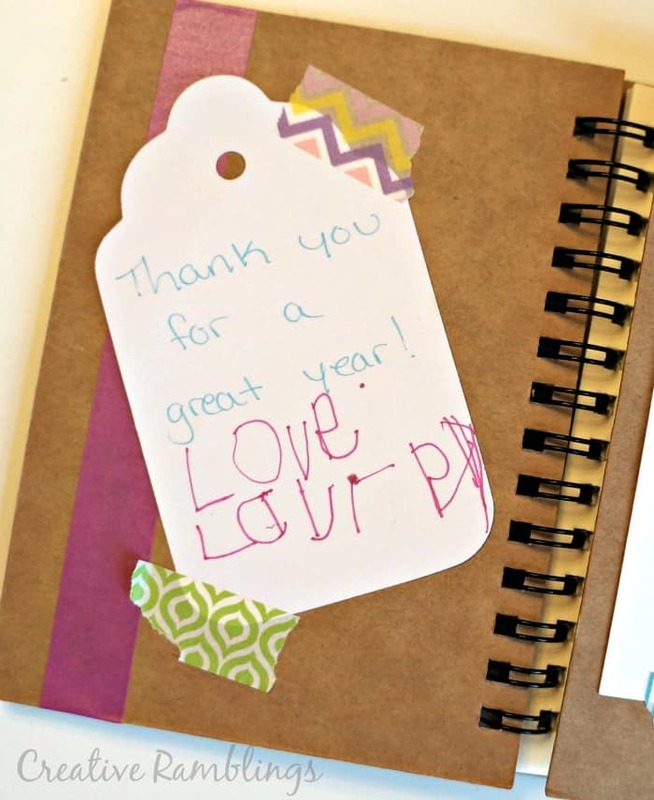 We put together some simple gifts to say thank you and good-bye to Little Lady’s teachers. 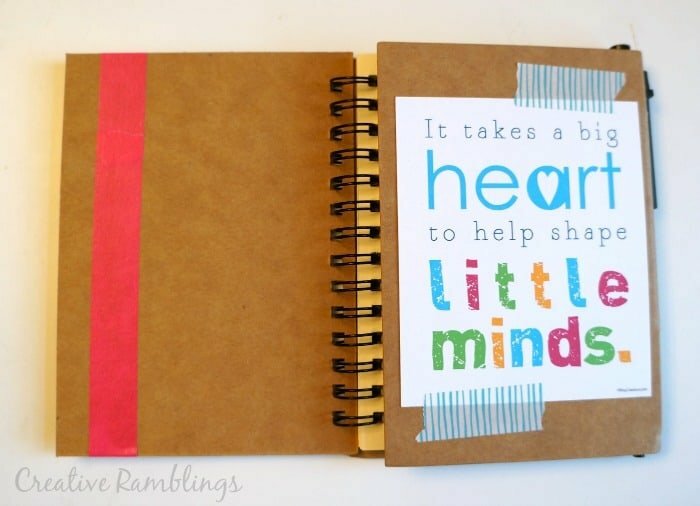 These Personalized Notebooks are easy to make and customize for cute Teacher Gifts. These little notebooks are from Pick Your Plum, a crafty daily deal site with some of my favorite crafting blanks and seasonal items. 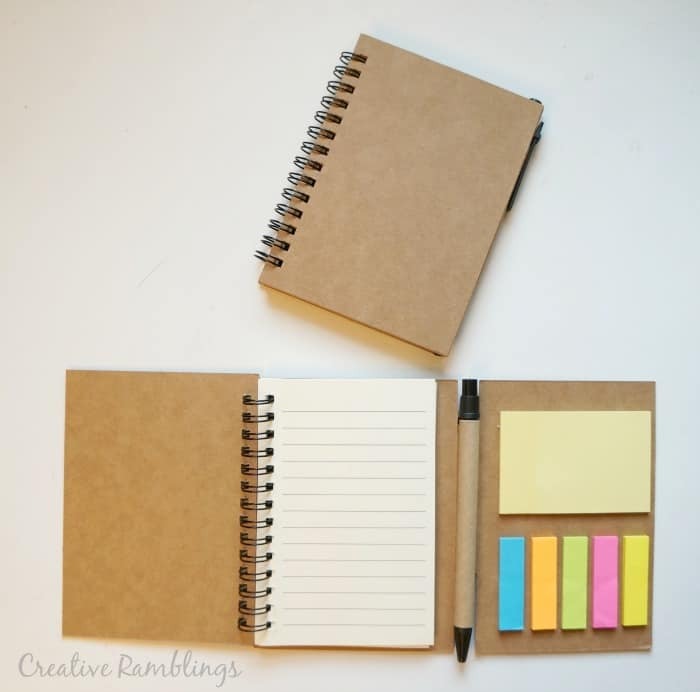 Be sure to take a peek and see what today’s deals are, these notebooks pop up every now and then. Little Lady helped me attach the printed quote as well as a tag she signed. The quote reads “It takes a big hear to help shape little minds”, I just love it and it sums up these 2 women perfectly. 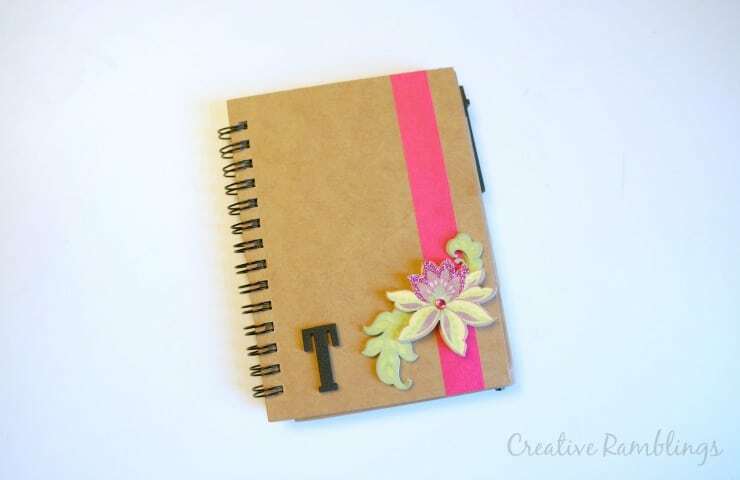 I added a little washi tape, a letter sticker, and floral embellishments to the front of each notebook. This is a simple gift but one that just about anyone can use. We will wrap these up and might include a little something extra to say thank you to two amazing teachers. Do you give teacher’s an end of the year gift? What are you giving this year?